For many of us, owning a chairlift at some point during our lives has made it possible to travel up and down stairs when it was no longer physically possible. For some of us, however, there comes a time when we no longer need it. This may be due to recovery from an injury or a recent remodel to the home that no longer accommodates the current chairlift, requiring a replacement. Maybe it no longer works. Maybe it was not you who used it, but an older friend or family member who moved to a nursing home or passed away, and now there is no need for a chairlift in the home. The list could go on. Unfortunately, getting rid of an unneeded chairlift is a surprisingly difficult task. There is often little secondhand purchase value for chairlifts, so simply reselling them is not always the best option. Of course, it never hurts to look into the list price, just in case. Depending on your area, you may be able to sell some parts for scrap metal, or a company may be willing to come uninstall your model for free or a small fee. A quick web search may pull up such companies in your area, but be aware of scammers and illegitimate businesses. If you believe you’ve found a reputable service, be sure they know how to handle the electrical wiring aspects of the chairlift removal. Otherwise, your free removal service may end up needing costly repairs. If you have the information, you may be able to contact the company you purchased the chair from; some may be willing to purchase and/or remove it from your home to refurbish it, or to use working parts for repairs on other models. This could likely be your best option, as the company likely has the most experience and familiarity with your model. If there is a shop in your area that sells items for elderly and disabled people, they may be aware of other options. It doesn’t hurt to stop in or give them a call. Facilities who recycle and dispose of items like older appliances and televisions may be willing to accept your chairlift. Your options will vary, depending on the area you live in; if you are unsure, it never hurts to call around. As useful as chairlifts are, they are not typically objects in high demand, making them difficult to sell or dispose of. Still, the task isn’t impossible; someone can likely make use of your chairlift if you do some looking around. Usually, your best option will be to search around the available services in your area and make phone calls until you find an interested party. Installing a stairlift system in your home can be a substantial financial investment that, if cared for properly, will last a lifetime and provide those who need assistance quick and easy access to all parts of your home. There are several things that you can easily overlook that can quickly shorten the life of your stairlift. Many of these things are simple and easy to forget and can result in a broken or poorly running lift. Here are a few examples of things that are often overlooked that can have dire consequences in the long term for your stairlift. Probably the quickest way to run your stairlift to an early grave is to run the unit beyond its weight capacity. It can be very tempting to use your stairlift to carry heavy loads from one floor to another. Just ensure that you do so in both a safe manner and do not go over the stairlifts weight limits. Running your stairlift over its maximum weight limit can stress the entire system, potentially resulting in damage to the unit that can both take time and be costly to repair. Simple cleaning habits can go a long way in extending the life of your unit. Keeping the lifts seat clean and free of dust and debris with the proper cleaning products can help keep the material from cracking or ripping for years to come. Stairlift track cleaning is easily overlooked, and the track can quickly build up dust that will over time make your unit work harder and less efficiently. Dust buildup can also contribute to stiff running tracks that will need to be lubricated to continue to run smooth. 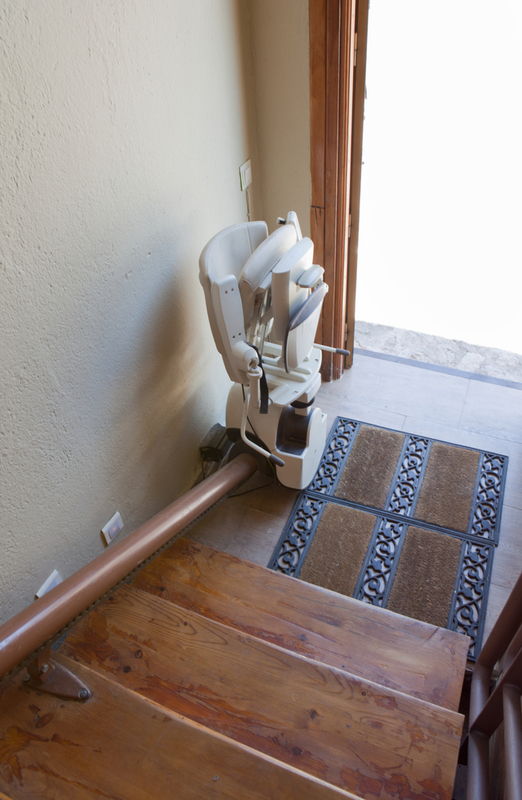 Skipping regular maintenance on your stairlift for one reason or another might not seem like a big deal. The reality is that each time you put off a scheduled service or maintenance, you are overlooking an opportunity to find any problems that might be addressed before they become larger issues. As is often the case with mechanical devices, problems start as something minor. Maintaining a regular service and maintenance schedule helps catch minor issues before they become major ones, as well as keeping your unit minor issue free. With regular service and maintenance, attentive cleaning habits, and staying within the maximum weight limits of your unit, you can look forward to your stairlift having a very long life. Stairlifts are great inventions that can really improve the lives of many people. It can be a strange thing to feel like you are cut off from parts of your own home. However, for those who find it difficult to move up and down levels in their house, this can be exactly the case. People who have trouble with stairs often find themselves adjusting their lives so that trips up or down the stairs aren’t necessary. This shouldn’t have to happen, stairlifts are a way for people in this situation to be able to gain a little bit of their mobility and independence back. But, who really can benefit from something like this? If you’re thinking of a stairlift, you probably have an image in mind of an older person using it to go up and down stairs. This might be stereotypical, but that doesn’t mean it’s not true. As we age, we find that things which were once easy and taken for granted, like stairs, become difficult, if not impossible. For some, downsizing is the answer. For others, though, this is not an option they want to consider. 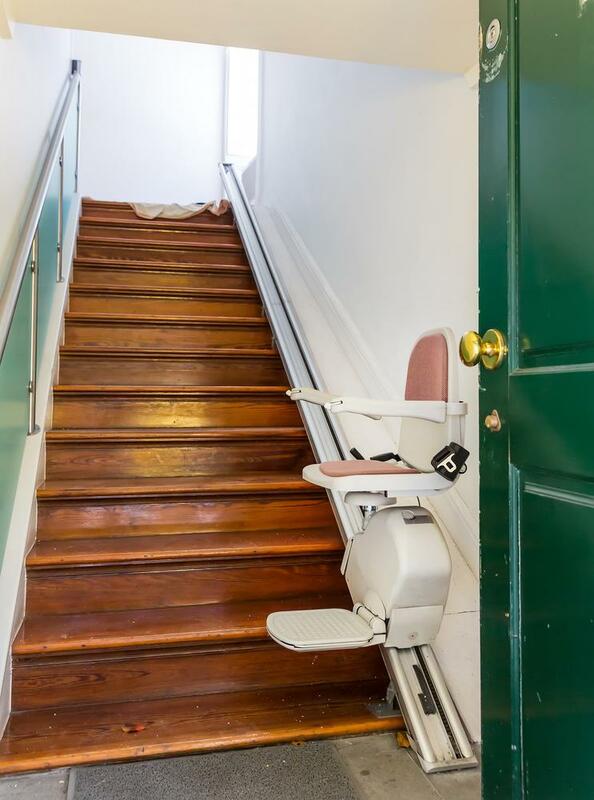 Rather than shutting off the upstairs, a stairlift can provide the solution. 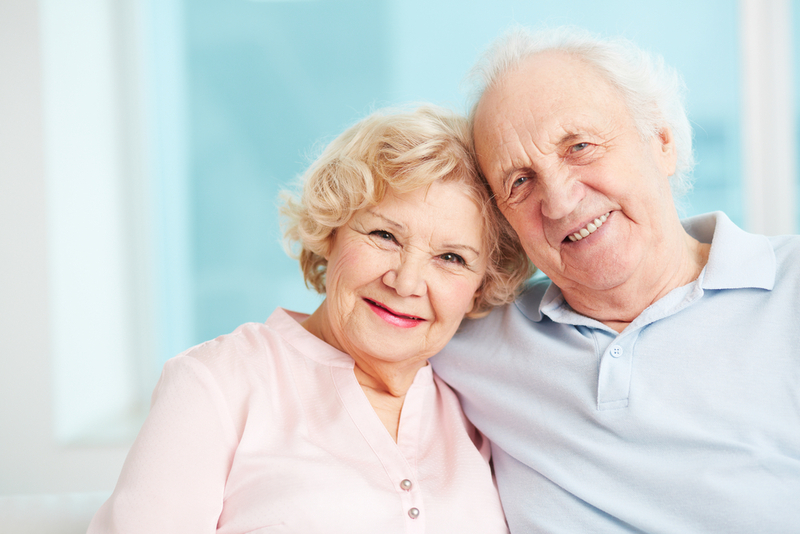 You don’t have to be a senior citizen to need and enjoy the benefits of a stairlift, however. If someone suffers from a disability that makes it difficult to walk, concentrate, keep their balance, or in some other way hampers their mobility, a stairlift can help them gain a small measure of independence. This can help someone whether they are 18 or 80. A third type of person who can benefit from a stairlift is one who has been injured. Maybe it’s a temporary injury, maybe it’s more long term. Either way, while the injury is getting in the way of their ability to move, a stairlift can help. In some ways, those who are temporarily unable to use the stairs are in a worse situation than those who have resigned themselves to it being a permanent condition, because there’s a good chance they haven’t had time yet to rearrange their life to deal with it. This means a frequent need to travel up and down the stairs, which can be difficult, painful, and often dangerous. The good news, though, is that stairlifts don’t have to be permanent, as they can be uninstalled when the need for them is over. Rented ones may be good for situations like this. 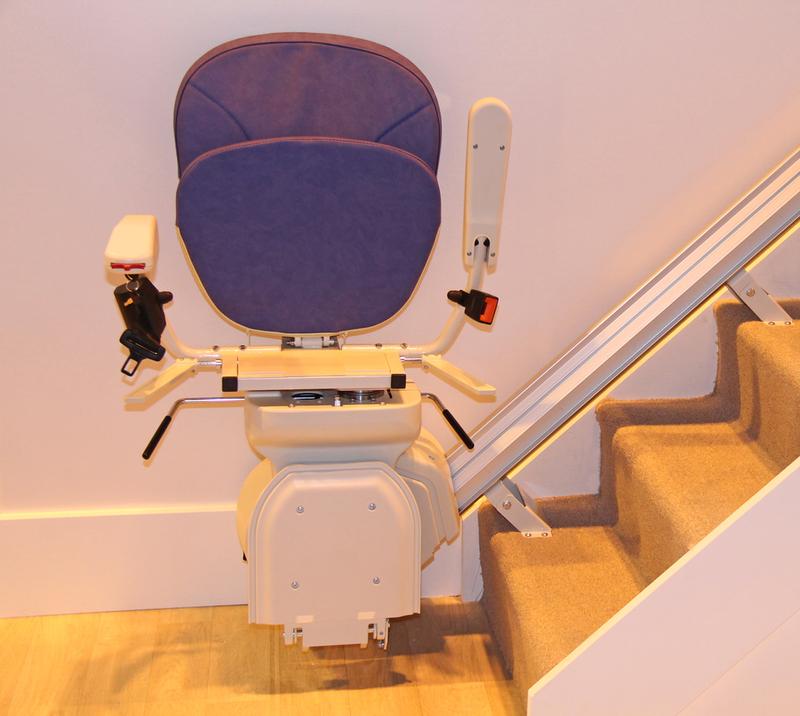 So, whether you’re young or old, a stairlift might be the solution you have been waiting for. If you’re tired of not being able to use your entire house, or depending on others to help you get around, then it’s time to look into taking your independence back. Call us today! For people facing mobility issues at home, one of the best solutions available is to install a stairlift. However, depending on your situation, a permanent stairlift installation might be a difficult thing to consider. While it’s not as expensive as, say, an elevator, it still comes with a price tag that’s difficult for some people to handle. For other people, a short-term, not permanent, disability means you don’t want to spend all of that money for something that you might not need in a year or two. If you find yourself in a situation like one of these, the good news is there still might be hope. This is because, in addition to buying and installing a new stairlift, you can also find and buy used ones, or even consider renting them. While each one of these options comes with its own things to consider, the bottom line is that they can give you the mobility you need while not sacrificing your wallet. If you are facing the prospect of long-term disability, but can’t handle the price tag of a new lift, it is possible to find used lifts available. Depending on location, there are companies that actually deal with used stairlifts, or you can also go the tried-and-true method of an internet search. While you can probably get a much better deal buying from an individual, companies that deal in used lifts are going to be able to offer more in the way of options and guarantees. If you do decide to buy from an individual, however, make sure to have the lift thoroughly inspected by a professional before you buy. The last thing you need to do is spend money on a system that’s going to break down, or worse, put you back in need of medical care. 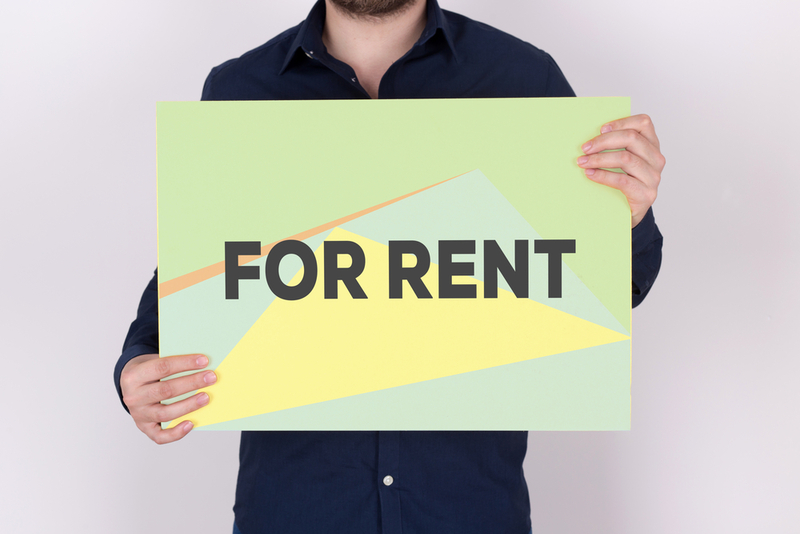 A much more convenient option for many people is to rent. This is a great choice if you are facing the prospect of temporary, rather than permanent, problems. By renting a lift, you are paying for the lift only when you need it, and not paying for it for the rest of your life. If either one of these options sounds intriguing to you, you probably have some questions. If so, we’d love to hear from you. Feel free to send us an email or give us a call. We’d like to be able to help you figure out what’s best for you and your situation in the immediate and long-term future! If your home’s stairway chair lift or in-home elevator suddenly stops working, it would be natural to assume that something has gone wrong. Your first inclination may be to call a company professional to repair it, and really, you can’t go wrong with that option. 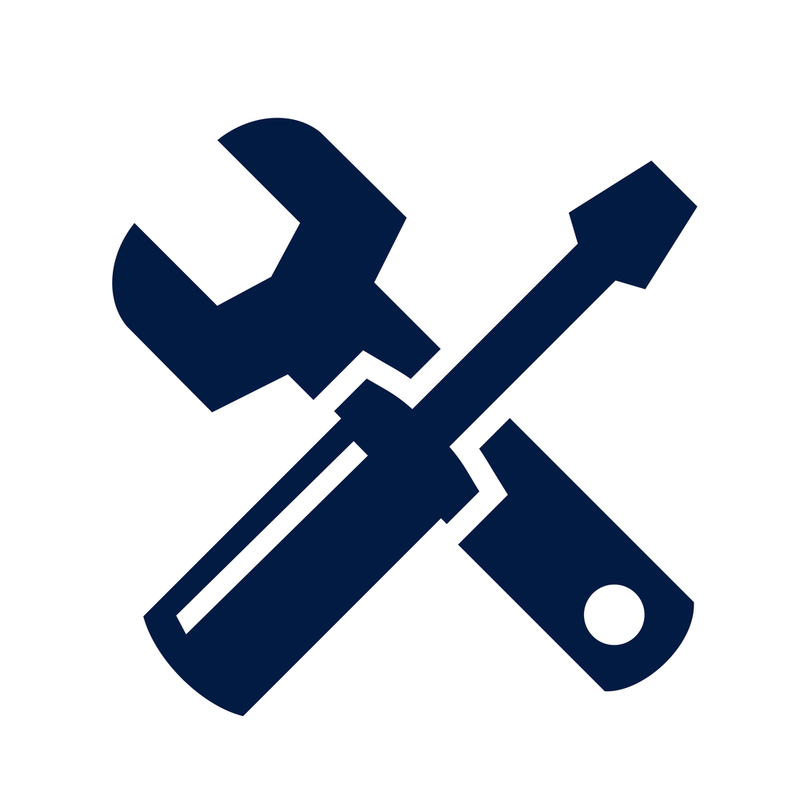 Regardless of what the problem ends up being, an expert will be able to quickly identify the source of the malfunction, and troubleshoot it with little difficulty. 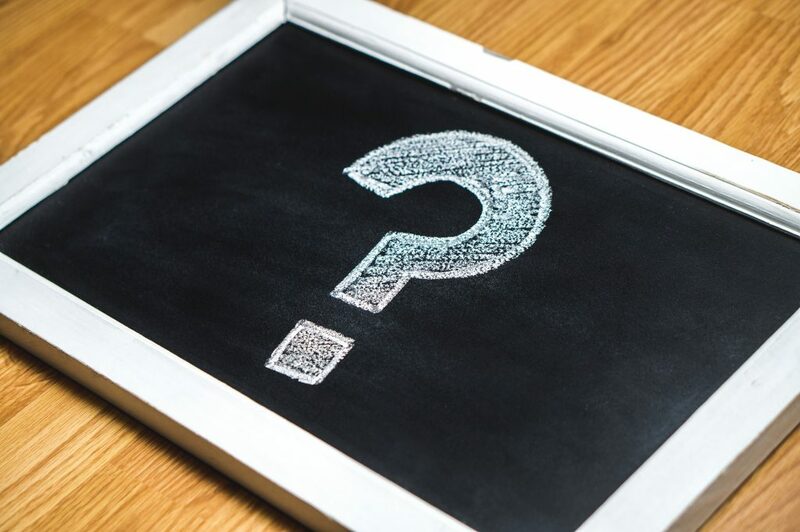 There are some circumstances where you may be able to investigate and address the problem yourself, depending on your technical skill level and the complexity of the issue. A word to the wise on this point: take care not to void your lift’s warranty! Review the warranty documentation that came with your lift carefully before attempting repairs of any sort by yourself. If you come to a point where any further attempts at troubleshooting would potentially render your warranty void, stop immediately and call a professional. If the problem is simple, on the other hand, you may be able to resolve it quickly without any need for a service call. Some common problems that are easy to identify are whether the battery is charged or whether the safety switch is turned off. If the battery is the issue, you’ll be able to know it because there should be an indicator light somewhere showing whether the battery is charged or charging. If that light is turned off completely, the battery is not charged at all, nor is it recharging. This is a point where you should call for repairs under warranty. If the safety switch or key is turned off, it would automatically prevent the lift from operating, as it’s designed to do. Check the switch and make sure it’s turned on, then attempt to operate the lift again. If the lift still isn’t working, then there may be a problem with one or more of the lift’s safety edges designed to prevent the lift from running into damaging obstacles. Make sure that, in fact, no obstacles are blocking the lift, then see if any of those safety edges are stuck or otherwise unmovable. If they are, it may then be the location of the problem. If all of these common features of your stairlift appear to be in working order, but the lift still isn’t moving, then it’s very likely that it will need the attention of a repair professional from the original installation company. For many people, their home is an expression of themselves. People will put hours and hours of work into decorating their house so that it looks exactly as they want it, because they feel that it reflects their personality for themselves as well as for visitors to see. As a result, when it comes to installing a stair or chair lift, people are often skeptical of the idea because they think they’ll mar the decorating scheme of their home. After all, lifts are rather large contraptions that take up a good amount of space around your staircase, which makes it difficult to deny that they will be noticed by whoever visits – as well as clearly visible to your own eyes. However, having a lift installed and maintaining the decorating scheme of your home are not mutually exclusive. It’s possible to integrate your lift into the design that you’ve established elsewhere. Here are a few tips for decorating around your stair or chair lift. The first thing that will stand out to anyone about your stairlift is its color, which can often contrast starkly with that of the walls or the staircase itself. As a result, try to either pick your lift color around what is already in your home, or decorate your home to match the color of the lift. This can be difficult if the lift is bright white, but in cases like this, you can use complementary colors such as a medium shade of blue or a deep burgundy shade of red. That way, your lift stands out for its color, but in a way that looks coordinated rather than clashing. In the area where you will have the lift, try a busier design to take attention away from the lift itself. This could mean hanging portraits along the wall next to the staircase, adding potted plants on alternating steps, or otherwise including a number of different elements to distract wandering eyes. This may seem counterintuitive, but sometimes the best way to design around your stairlift is to make it part of your decoration – and, in fact, to make it the centerpiece. For example, a stairlift that is shown clearly curving around a staircase through plain wooden stairs and glass side barriers will be more appealing than one that is half-hidden but still pretty obvious.